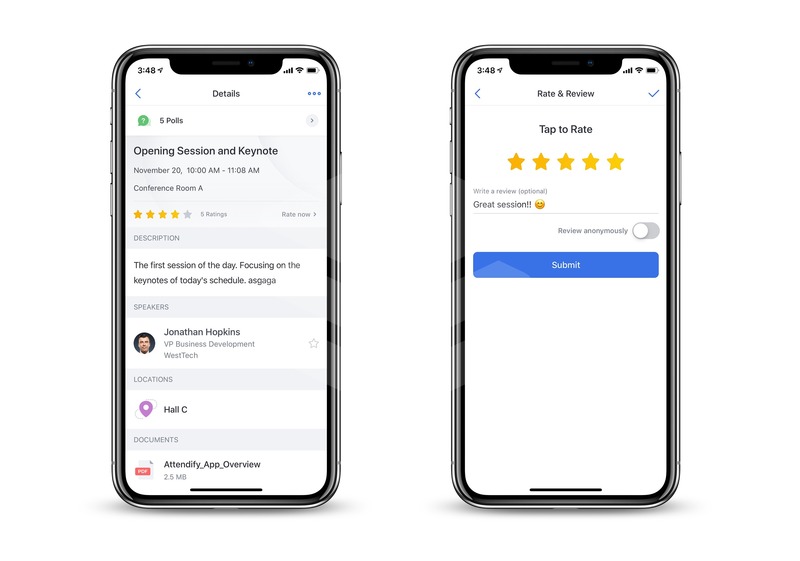 Getting feedback from attendees has never been easier with a configurable Rating & Review feature that’s built right into the Schedule and Speakers sections. 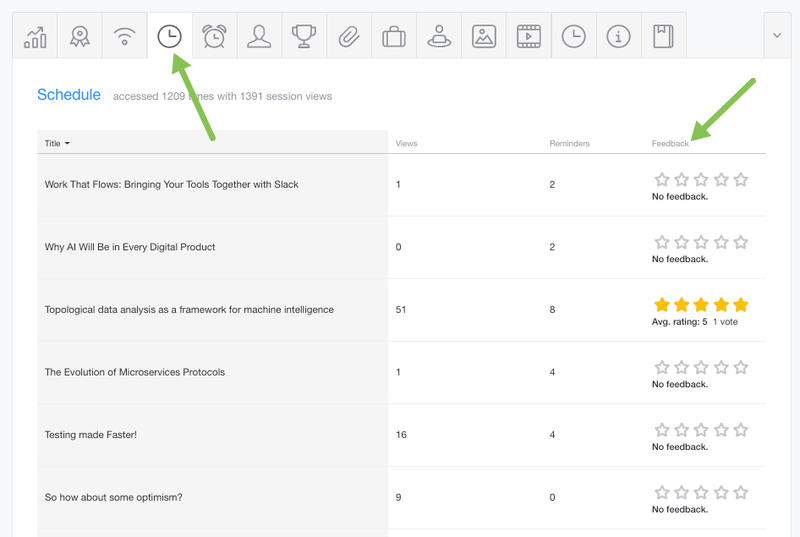 Attendees can leave a star rating and a detailed review that shows up in real-time in the analytics dashboard for you to compare and contrast with other sessions. 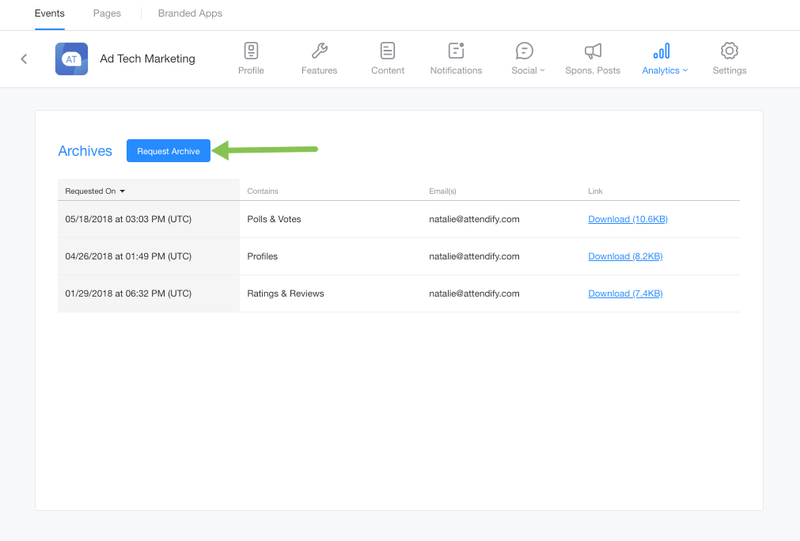 Once your app is published, you will be able to manage Ratings & Reviews settings: Go to Settings on your dashboard > click Feedback > choose your preferred visibility options. 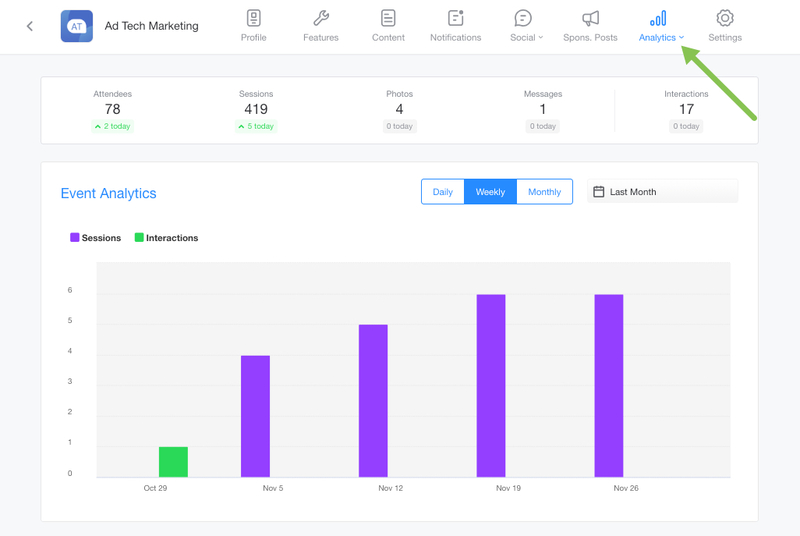 To get to the information that is gathered by this feature you will first need to go to the Analytics page for your app. 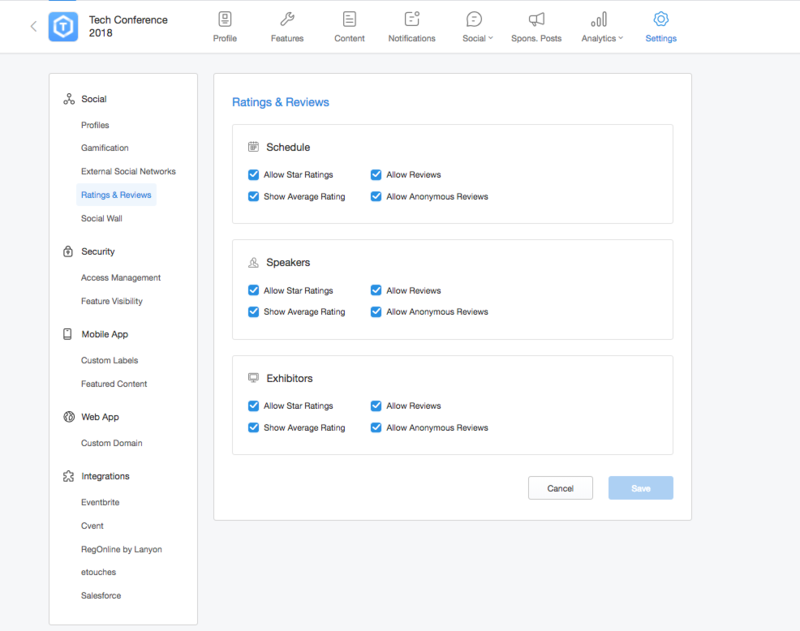 On this page you will need to scroll to the bottom and select one of the features that the rate and review option is available for. from there you can select an item you are interested in seeing info for. It will pull up a popup screen to show more info and depth. 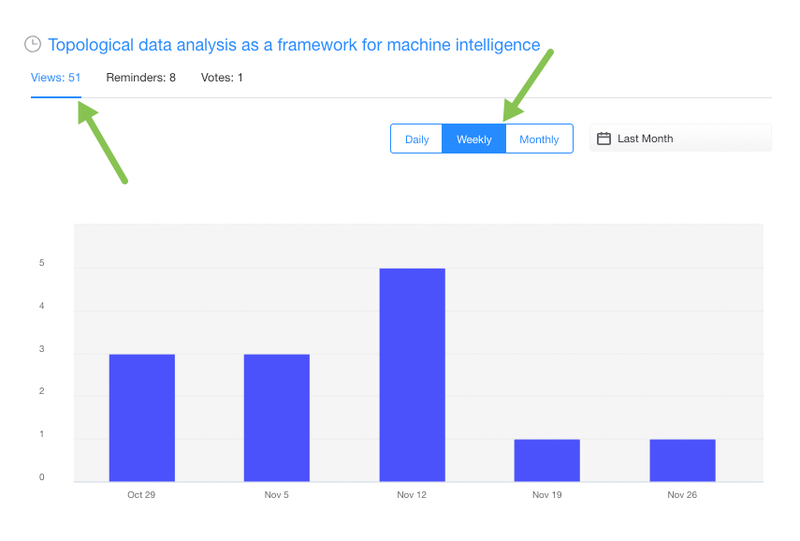 You can toggle through the different viewing options to see views, Reminders and votes. In addition you will be able to how an individual rated something and the feedback they left for a particular session or speaker. All of this information can be accessed and exported out of the app as well. You can do so by going to the archives page under Analytics. Once you make it to the Archive page you will see all of the past archives you may have requested, otherwise it will just be blank. You can select the “request archive” button to create a request for one. 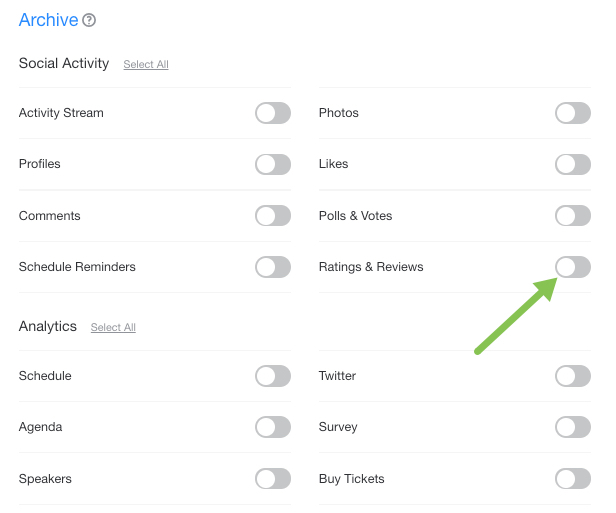 After selecting an archive request you will need to select the “Ratings & Reviews” option then generate the report. At which point you will be emailed a copy, you can also get a copy of the form by returning to the archive page and selecting one of the options there. 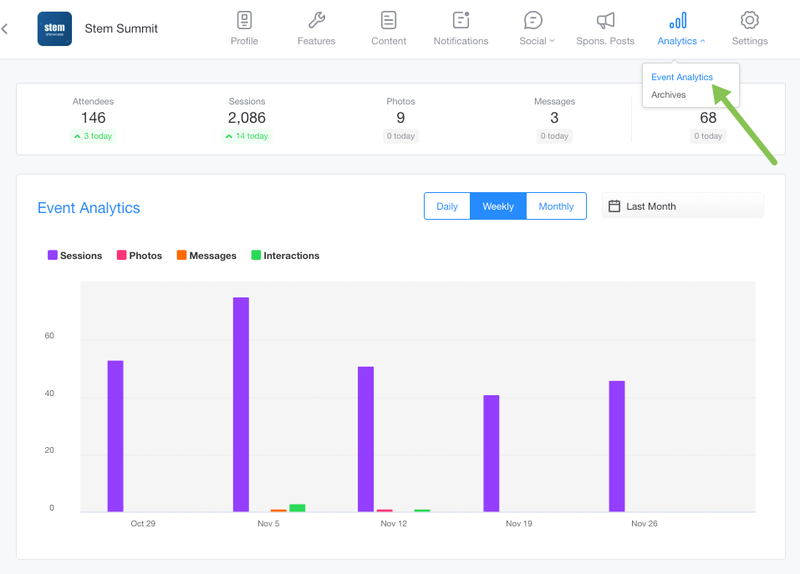 If you need help with anything else please feel free to reach out to us at Support@Attendify.com or via chat on any Attendify web page.